I got into a bad habit of waking up at 3:30 in the morning to check my phone. This breaks every tech rule, but it seriously became a compulsion. I had to see the photos of my child. Let me back up a little so you all understand. And then, as kids will do, she went to her dad. That was just fine, because I was totally confident: my husband would never say yes to this mission trip. He said yes, but she had to raise half of the funds needed, which was a daunting number for a thirteen-year-old. Still, thinking we were safe, time passed and life was cruising along, all the while my daughter was baking and selling cookies, sending letters, and quietly amassing the funds for nearly the entire trip! And soon enough, I was compulsively checking my phone at 3:30 in the morning when the leaders would post photos at about 9:30 in the morning in Greece and Sicily. One morning I saw my child climbing Mount Etna, an ACTIVE volcano. Hello?! Did they realize this same volcano had erupted six weeks prior? Any parent knows that our children drag us, kicking and screaming oftentimes, to the edge of both reason and our comfort zone. Am I right? (I see you nodding your head!) Well, the ability to drive humans to the edge is not limited to one’s children. Not only that, the edge of our comfort zone can take on many forms and appearances. Thinking about this reminds me: sometimes it does take an eruption to cause us to make a change. All of a sudden, we are hit with a major thing, like a job issue, or an illness. We are never ready for this type of eruption, we are uncomfortable, and yet we must adapt. The eruption may not be fiery, loud, and causing everyone to leave their homes to escape flowing molten lava. Maybe it is just a small eruption, with some sparks flying, like being assigned the project that you don’t want, or a new, super-eager boss who has you on edge. If you are anything like me, you hang out in a comfortable space for quite a while before shifting outside it, and generally, that shift takes some encouragement or force. I kind of enjoy having people around me who encourage me to grow and change. Some of you probably know that I am a resource on Mind Body Align’s creative team. I am working with Annamarie on a journal that will eventually be a tool for each of you. My career took some twists over its now 25 years, but one consistent theme has been the written word. I started off as a lawyer, but soon discovered that sparring in a board room over contract terms was horrifying to me. I made a shift, to a law practice where I was interacting with people, but I was in the middle, a judge, and my decisions were written. It was perfect. Isn’t that how it always happens? Suddenly, I was at home with my son, trying to remember which day of the week it was and what it was like to go to the bathroom by myself. Eventually, at a mom’s group, I encountered the owner of an antiquing journal and public relations firm, who asked me to write and edit for her. Being free and open to this opportunity allowed a totally new career to emerge. If we all adopt this, we are all capable of more than we believe. Our capabilities are greater than we can know or even imagine. Not only that, we need to be comfortable with being uncomfortable. If you think about it, one’s comfort zone can be a pretty big zone, and have varying degrees of comfort. You may be only slightly comfortable with starting something new, like a couch to 5K running program, but you can still embrace the small bit of comfort and continue in a positive way. There are times when what you hear in your mind is screaming. It is not actually a disaster, and YES, you can. We can all adopt my husband’s favorite mantra, “I think I am going to be amazed at how this will work out.” Hearing this immediately helps me be open. The mind opens, my eyes begin to see things differently, my ears are listening and hear words that are positive. It is all about your posture, your openness, and just looking for the amazing. Why wait for the eruption of the volcano? We can also start new good things all on our own. Most mornings I listen to Sirius XM Morning Mash Up on the way to work. On the first day of each new month, they recommend their listeners start something new. Also, check out this great, quick, three-minute Ted Talk by Matt Cutts on why we should start something new every thirty days. 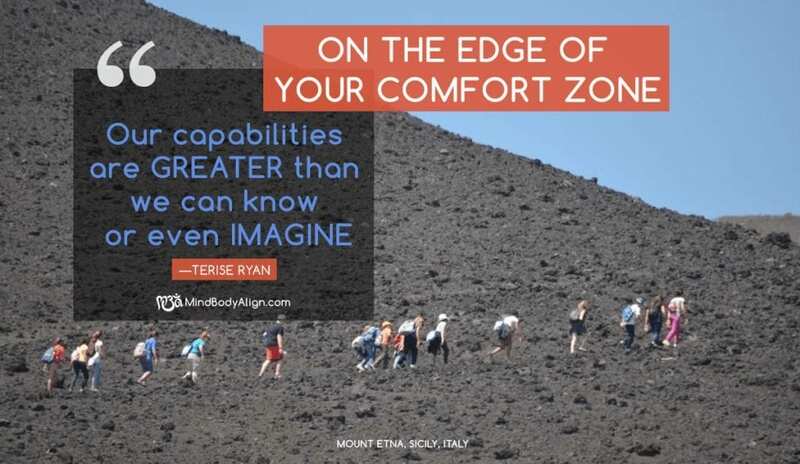 On the edge of your comfort zone every thirty days? Yikes! Terise Ryan teeters on the edge of her comfort zone daily as the new-ish Vice President of Sales and Government Relations for National Patent Analytical Systems, Inc. (NPAS), a defense contractor who manufactures airplane relays and alcohol breath test equipment in Mansfield. When NPAS purchased a Chicago area company in the same line of business, they unknowingly inherited some tricky issues, and after a few years of struggling to navigate them, brought in Terise for new strategies and relationships. A graduate of Villanova University, Terise has a degree in English, the Honor’s Program, and a minor in business, Terise also earned her law degree from Capital University Law School and was a published Notes Editor on the law review. Terise wrote for the United States Court of Appeals, the Supreme Court of Ohio, the Tenth District Court of Appeals, and the Industrial Commission of Ohio. 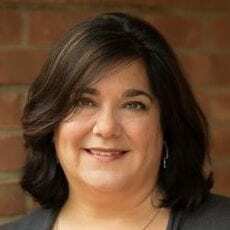 She worked in the private practice of law in New Albany and led continuing legal education seminars for the Columbus Bar Association for many years. Terise pursues her love of writing by publishing a blog and is an independent editorial resource for a multi-state public relations firm and Mind Body Align. Her successful projects include OXYWater, a consumable beverage startup, which, due to one well-crafted article about its health benefits, allowed for expansion into every Kroger store on the eastern seaboard. Other projects include Economic and Community Development Institute, a business incubator and micro-lender in Cleveland and Columbus, Sleep Outfitters, The Ohio Country Register, The New Albany Children’s Ballet Theatre, and other central Ohio businesses. Terise has written grant applications which have been funded by The Ohio Arts Council for six consecutive fiscal years. Terise is a writer of nonfiction and was published in YourTeen magazine. Terise is both a small business owner and a teacher. She comes from a legacy of both. Born in Mansfield, Ohio, she is the daughter of a former dry cleaner who built an international, and yet still small, manufacturing company. In her spare time, Terise enjoys sharing her passion for the language arts, government, and all areas of education by teaching. She is married to TJ, who works in the supply chain management software industry, and has three vibrant children.